But on Facebook another commenter says: "I want to thank the government for preventing our youth to be poisoned by this rotten and absurd theory. There is nothing more natural than excluding it from the national curriculum." On Wednesday, the head of the education ministry's curriculum board Alpaslan Durmuş announced that a section on Charles Darwin's Theory of Evolution would be excluded from biology textbooks in the ninth grade (14 and 15 year olds) from next year on. Students are "too young to understand 'controversial subjects'", he said, adding that the topic will be delayed until undergraduate study. President Recep Tayyip Erdogan has already approved the proposed changes to the national curriculum, which are expected to be published next week after the Muslim Eid ending the fasting month of Ramadan. "Turkey will be the second country after Saudi Arabia that excludes theory of evolution from its curriculum," says Feray Aytekin Aydogan, the head of Egitim-Sen - a teachers' union representing over 100,000 members across the country. "Even in Iran, there are 60 hours of lessons on evolution and 11 hours on Darwin himself," she adds. 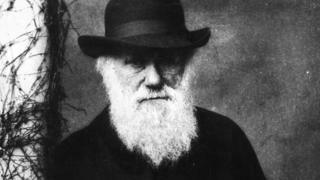 The debate on the exclusion of the theory of evolution started early this year, when the draft curriculum for primary and secondary schools was announced. Other changes include a decrease in the amount of time allocated to the life of Turkey's secularist founder Mustafa Kemal Ataturk. The changes reportedly were proposed by a conservative teachers union close to the government and the government argues all amendments were publicly discussed and consulted upon. The secular opposition in Turkey says that Mr Erdogan and the governing party are trying to move the country away from its founding values, and make the society more Islamic and conservative. Mr Erdogan has already stated several times his goal of raising pious generations and Deputy PM Numan Kurtulmus had once described the theory of evolution as archaic. Islam acknowledges that God is the creator of everything, Adam was the first man created from clay and Eve was created from his ribs. The theory of evolution is not accepted in religious circles. "Not only biology, but all classes are to be taught in a more religious context. This new curriculum is to produce very harmful results for our students and the future of this country," argues Feray Aytekin Aydogan. "Turkey is being redesigned. That is the danger. Our teachers will be protesting out on the street and in the classrooms, they will carry on educating the students according to secular and scientific values no matter what the government does," she says.